According to Twice, Staples, the biggest office supply chain, stopped selling Staples Connect, its proprietary smart home platform. 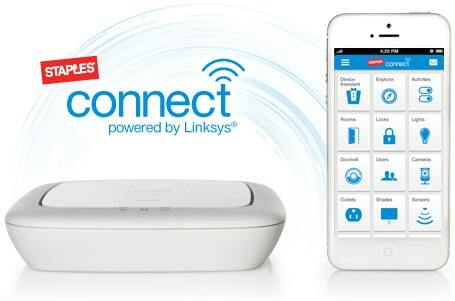 Instead, Staples is transitioning its Connect smart home platform to Z-Wave Products Inc, an authorized dealer and distributor of Z-Wave-compatible products. Even though the terms of the deal were not disclosed Z-Wave Products will take over sales and support for Staples Connect and Zonoff, a software company that had helped Staples develop Connect, will step in to maintain the platform and provide updates to the software. Staples started working with home automation systems in 2013. Connect was a DIY platform. Their DIY collection enclosed more than 150 devices under more than three dozen brands covering lighting, climate control, security and lots of other categories. It was sold online and merchandised in about 550 Staples stores. To ease the transition from Connect, Z-Wave Products will provide service and support to Staples Connect customers, at least during a transitional period, via a dedicated website and a customer service hotline, (800) 380-1518. The company, which carries 26 brands including GE, D-Link, Honeywell, Kwikset, Leviton, Schlage and Yale, will also work with Zonoff to update the Staples Connect app, which controls and monitors Staples Connect systems, to ensure backwards compatibility. In a statement on their website, Staples noted that this move does not indicate the end of Connect.The company elaborated that Staples Connect will continue to operate on its app, and that Zonoff will continue to update the platform to avoid user disruption. Staples offered DIY platform, which many smart home users liked, so we are yet to see how this decision will affect the market and their users. ← Home automation security – Is it safe?